We have been planking continuously now, if only work would stop getting in the way…. 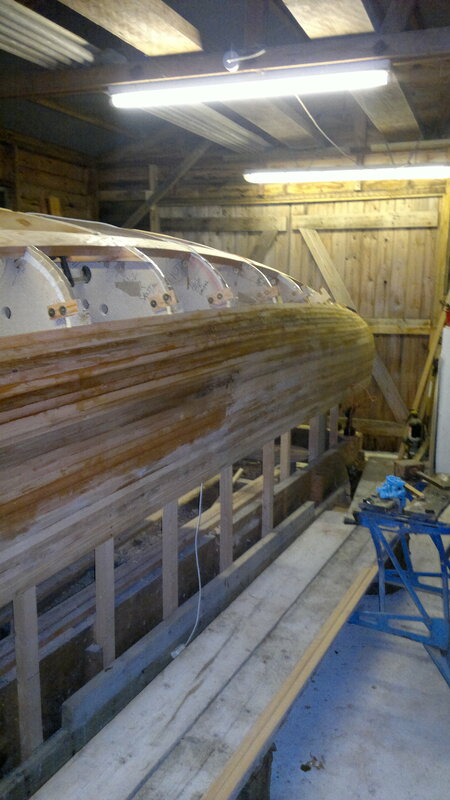 Planking reached half-way up the stem and half-way round the transom (of course we are no-where near half way at the broadest point of the hull). Planking got too high to reach – so installed some staging to stand on (slices of one of the trees that came down last winter and some old scaffold boards).. 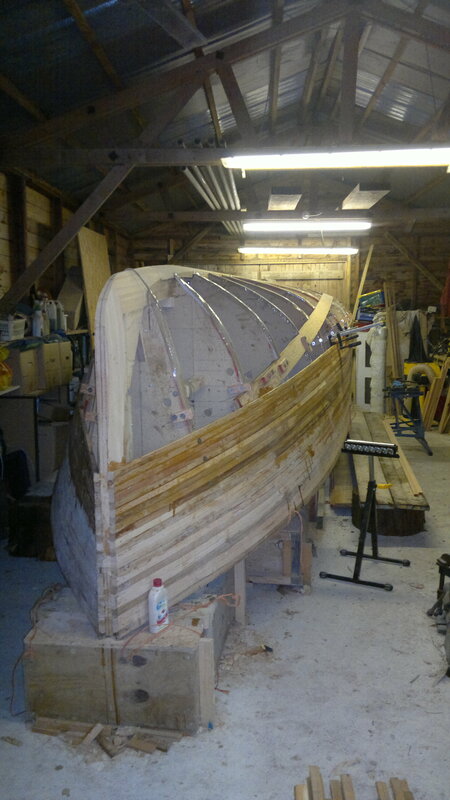 This entry was posted in Hull Build and tagged hull build, moulds, planking on October 23, 2014 by sybefur.